The weather is warming up and the sun is out, TIME TO TURN ON THE FITNESS!! This program is designed for those new to running/ walking, returning to running or currently in-active, with a goal of RUNNING or Walking a 5K or 10K! We structure the program to help you cross the finish line of a goal race in just 10 weeks. Along the way we’ll provide you with motivation to keep you moving, guidance and advice, weekly group training runs or walks, and educational clinics on topics such as proper nutrition, choosing the right gear, and avoiding injury. The Program meets twice a week during the training period, once on Tuesday evenings and once on Saturday mornings. The workouts will last about an hour to an hour and a half as we increase mileage throughout the season. The cost of the program is $100 (does not include the race registration fee). This program starts Tuesday May 7th, and times up perfectly for Wilmingotn's Tris-Span on July 13th. Have Questions????? Come ask them at our information meeting on Monday, April 29th @ 6:45! Program for runners and walkers who want to work up to the distance and build endurance for the race. Use promo code EARLYBIRD now through April10th for 10% off registration!! Camaraderie of other runners & run/walkers just like you! Use promo code EARLYBIRD now through April 10th for 10% off registration!! 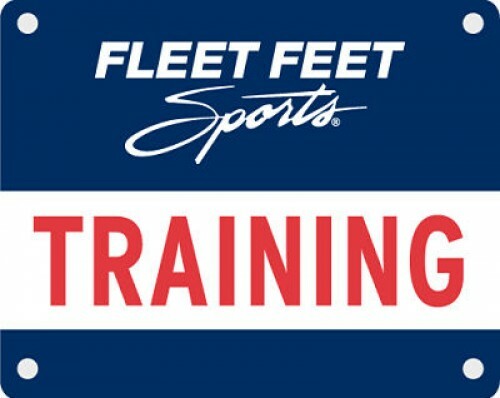 If you have additional questions, email Tricia Dell-Weber at Wilmington@fleetfeet.com.